Here we round up some of the better-known airlines with a spotless safety record. Scroll down for a full list of carriers never to have had a fatal accident. The third oldest airline in the world, Qantas was cited in 1988 film Rain Man as an airline to have never had an aircraft crash. "Qantas. Qantas never crashed," says Raymond, played by Dustin Hoffman. And while this fits the bill as far as the Australian airline's outstanding reputation for safety is concerned, it is not strictly true. The airline has had eight fatal accidents, all before 1951, and with four taking place during the Second World War while Qantas was operating planes on behalf of the Allies. Indeed, one aircraft was shot down. In 1951, a de Havilland australia DHA-3 Drover crashed off the coast of New Guinea after the centre engine's propeller failed. The pilot and all six passengers were killed. Qantas has not since had a fatal accident, and only a handful incidents of note. Hawaiian has been flying planes since 1929 and never once had a fatal accident, making it, if our stats stand up, the longest functioning carrier to have never lost a passenger. It may have suffered two bankruptcies (1993 and 2003) but it has not compromised on safety. The airline began life flying light aircraft on sightseeing flights over O'ahu and today serves a number of Pacific destinations, including New Zealand, Australia, Asia and the US West Coast. EasyJet has never had an accident. In fact, its history is so incident-free, it's difficult to find any serious issues to have befallen one of its flights. In 33 years of flying, the closest the carrier has come to a serious accident was in 2008 when an aircraft was forced to make an emergency landing in Rome after experiencing multiple bird strikes to the nose, wings and engines. It is believed the aircraft hit some 90 starlings. On landing, the left hand landing wheel collapsed and the plane made contact with the runway. The aircraft was damaged beyond repair and two crew and eight passengers were taken to hospital with minor injuries. Virgin-branded airlines have a remarkable safety record, with decades of accident-free travel between three carriers across many continents. Both Virgin Atlantic and Virgin Australia rank in the top 20 safest airlines in the world according to website AirlineRatings.com. British Airways has only had one fatal accident while operating in its current form - the mid-air collision of its Trident 3B with the aircraft of a Slovenian airline in the skies above the Croatian city of Zagreb. However, in 1985, under the moniker of BA's British Airtours subsidiary, a 737 rejected take off at Manchester Airport because of an engine failure, sparking a fire that spread through the cabin killing 53 of the 131 passengers and two of the six crew members. Since 1985, BA has never had a fatal accident, the closest call coming in 2008, when First Office John Coward earned his place in the aviation Hall of Fame for landing a plane without any power. Read the full story here. BA ranks among the world's top 20 safest airlines according to AirlineRatings. British European Airways, founded in 1946 but merged with British Overseas Airways Corporation in 1974 to create British Airways, suffered a number of fatal accidents. The Dubai-based airline, now operating more than 3600 flights a week, has never had a fatal accident, and only suffered one hull loss - destruction of an aircraft - when a Boeing 777 crash-landed at Dubai International after a failed aborted landing. The plane caught fire and exploded on the runway after the majority of passengers had evacuated. However, a firefighter was killed in the blaze. Another Middle Eastern carrier with an impeccable safety record, its only incident being a rather bizarre situation in which an aircraft undergoing ground testing at Toulouse airport in France accelerated to 35mph before hitting a concrete wall, injuring nine people on board, four seriously. In a similar scenario, the accidents to befall Qatar Airways aircrafts were two fires, one in 2007 and one in 2017, where planes were written off while on the ground, the former in a hangar in Abu Dhabi, the latter at Hamad International in Doha. Otherwise, Qatar has a squeaky clean safety record. According to Plane Crash Info, published before the Southwest incident, there are 42 airlines to have never suffered a fatal accident in their history, including pre-jet engines. However, for some reason the website's list does not include Etihad. Nor does it include Qantas, because of the airline's earlier crashes. The full list is below. What are the world's safest airlines? The website AirlineRatings.com assessed 409 major airlines before delivering its verdict on the safest airlines for 2017, taking into account previous incidents, the average age of their fleets, and audits from governments and the aviation industry's regulatory bodies. 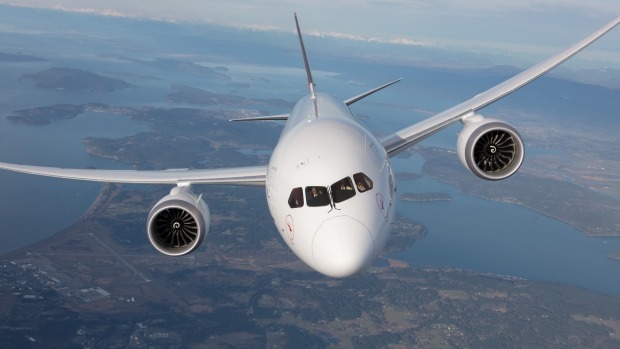 For the last four years it has singled out Qantas as the world's safest airline, ahead of a chasing pack of 19 rivals, but this year it listed the Australian flag carrier alongside the rest of the top 20. BA and Virgin are the only UK airlines at the top table; others include Singapore Airlines, recently voted the world's best long-haul airline by Telegraph Travel readers, Swiss, your favourite short-haul airline, as well as Air New Zealand, Emirates, Etihad, KLM and Lufthansa. Does fleet age have anything to do with it? Not according to Patrick Smith, a US pilot and author of Cockpit Confidential. "Commercial aircraft are built to last more or less indefinitely, which is one of the reasons why they're so expensive," he told Telegraph Travel. "It's common for a jet to remain in service for 25 years or more." Smith claims that as planes get older they come under ever greater scrutiny. "Inspection criteria grow increasingly strict," he said. So if planes are built to last more or less indefinitely, why are they retired after just 30-odd years – or in many cases sooner? "Planes are sold, traded or mothballed not because they've grown old and are falling apart, but because they've become uneconomical to operate," said Smith. "Aircraft are tailored to particular roles and markets, and there's a fragile balance between whether it makes or loses money. Poor performance means quick exit to the sales block. To another carrier with different costs, routes and needs, that same aircraft might be profitable." The safest in aviation history. Last year there were 10 fatal airliner accidents, resulting in 44 deaths, according to the Aviation Safety Network, which monitors all plane incidents and crashes. The figures make 2017 the safest year in flight both by the number of accidents as well as in terms of fatalities. By December 31, aviation marked a record period of 398 days with no passenger jet airliner accidents. That is now at two - the last being the Southwest engine failure on April 17. Harro Ranter, president of the Aviation Safety Network, said: "Since 1997 the average number of airliner accidents has shown a steady and persistent decline, for a great deal thanks to the continuing safety-driven efforts by international aviation organisations such as ICAO, IATA, Flight Safety Foundation and the aviation industry."